The grandest statement of Collection 01. 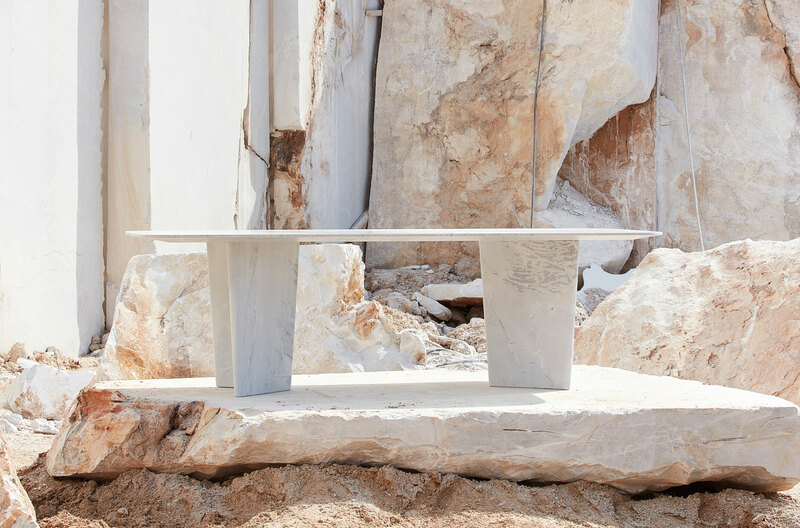 Three precise slabs of Elba unite to form a dining table without comparison. 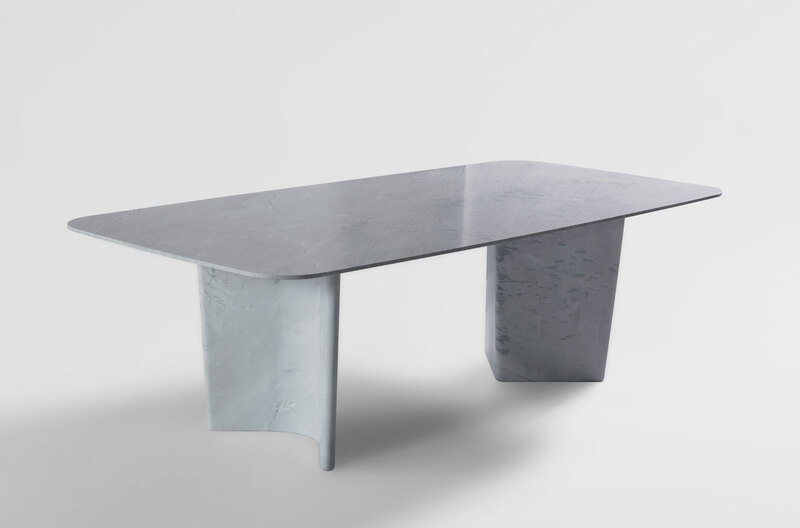 A slender rectangular table top rests upon two beautifully angular bases. Inherently durable and with a powerful presence, it seats six to eight diners. Custom sizes can be made to order. 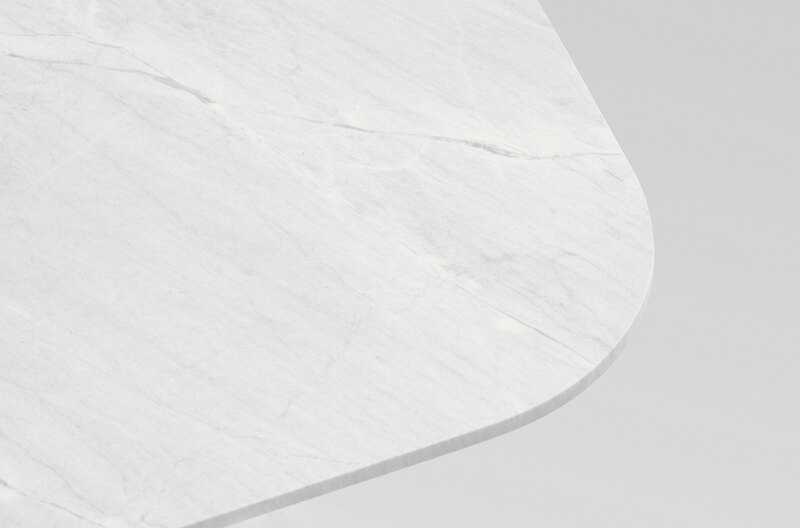 Collection 01 explores Elba™ a rich, complex stone 250 million years in the making. A material with a story, cut by machine and finished by hand into an object whose story is yet to be written. The result is collection of products that are sincere, serene and strong. Designs that will inspire and enhance the everyday.